WASHINGTON — So far only the Pacific region and, more recently, the Middle East have seen operational deployments of the U.S. Army’s Terminal High Altitude Area Defense system, but now it’s headed to Romania this summer, according to an April 11 U.S. European Command statement. Questions have swirled for years on when, where and if THAAD would deploy to Europe, particularly as the situation on the eastern flank has heated up since Russia annexed Crimea in 2014. The Aegis Ashore in Deveselu, Romania, has been operational since 2016. It is part of the European Phased Adaptive Approach, or EPAA, designed to defend U.S. troops and its allies in Europe against possible ballistic missile attacks. The EPAA consists of an AN/TPY-2 radar in Turkey and two Aegis Ashore systems — one in Romania and one in Poland. The Polish system has been hit with delays due to construction issues at Redzikowo military base that are unrelated to the system’s performance. It won’t be operational until 2020. The Missile Defense Agency is still working with a Polish construction contractor to resolve issues at the Aegis Ashore site in Poland that have delayed its operational capability by two years. The scheduled update to the Aegis Ashore system in Romania is part of regular updates performed on all Aegis systems — the majority of which are ship-based, according to the statement. The system will come from the 69th Air Defense Artillery Brigade, 32nd Army Air and Missile Defense Command at Fort Hood, Texas. NATO’s Allied Air Command will have operational control of THAAD during its mission. So Patriot and THAAD will talk. What does that really mean? The Army decided earlier this year to drastically accelerate its plans to get the Patriot medium-range air-and-missile defense system and the Terminal High Altitude Area Defense system to communicate. 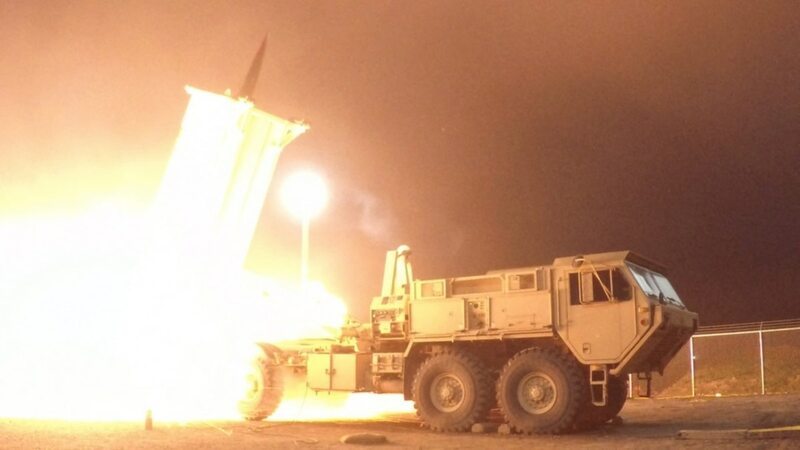 THAAD is an important part of the U.S Army’s layered missile defense capabilities and is capable of neutralizing ballistic missile threats in the terminal phase of flight. It has been deployed in Guam since 2013 and in South Korea since 2017. THAAD was deployed to Israel last month. The United Arab Emirates is the only foreign customer under contract, but the U.S. has also reached a deal to sell THAAD units to Saudi Arabia.